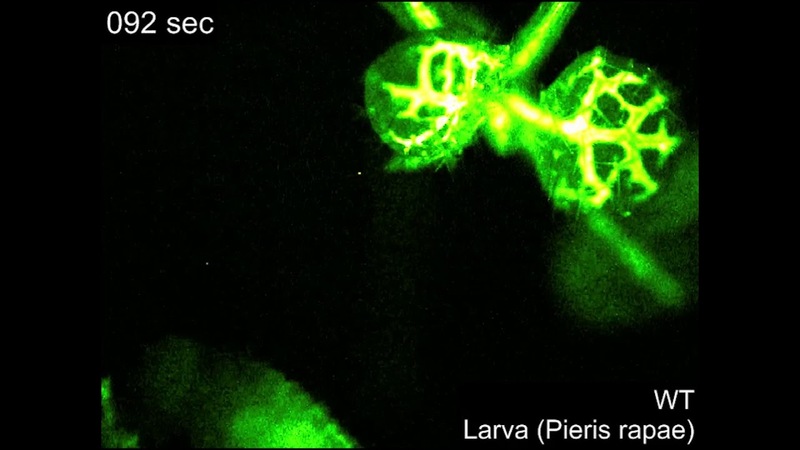 An international group of scientists during experiment have found that plants use signaling molecules, similar to those that exist in the nervous system of animals. Using these molecules the leaves of the plant can give each other “distress signals” that contains information about the dangers. Our green friends don’t have a nervous system, but they definitely have something similar. The researchers ‘ findings published in the journal Science. Animals irritated nervous system cells release glutamic acid, which creates an electrochemical release of calcium ions, with which the cell is removed from the hazardous area. This process involves the neurotransmitters — substances with which the impulse is transmitted from one neuron to another. Researchers from the US and Japan have found that plants have a very similar system. Interestingly, the authors came to this discovery by accident while studying the effect of gravity on the change in the levels of calcium in the herb rezhevichi (Arabidopsis). 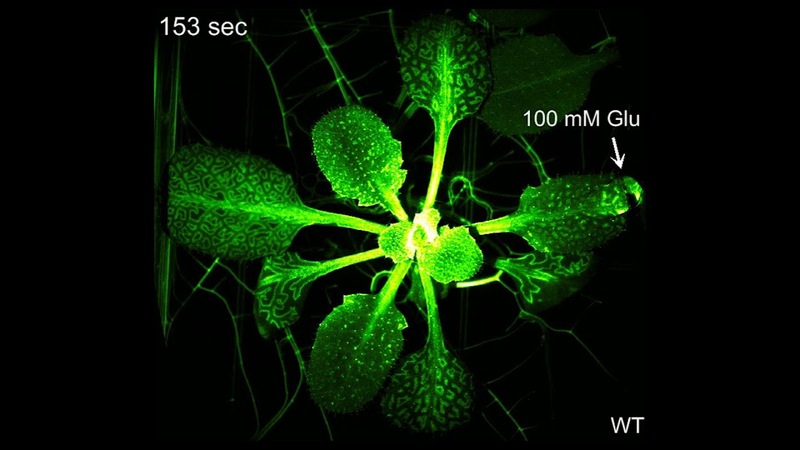 One of the scientists have created a molecular sensor — a fluorescent substance sensitive to the calcium content and allows to observe changes of its level in the plant in real time. The higher the calcium level, the brighter it glows. Using molecular sensor, scientists were able to see how the level of calcium in the plant tissues under different conditions. 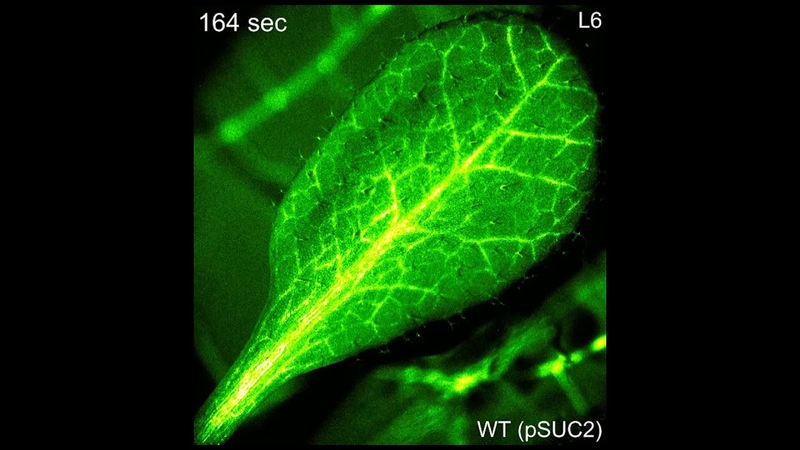 “We knew that plants have signaling system. If you damage one part, it alerts everyone else, so they launched the defense mechanisms. But we didn’t know that behind this system,” explains Simon Gilroy, a biologist from the University of Wisconsin in Madison. If you tear or damage one leaf of the plant, about it pretty quickly learn stem and other leaves. In the experiment, the scientists cut from rezhevichi a leaf and found that the calcium content of immediate change, formed a kind of impulse that spread from damaged parts throughout the plant. The glow of the fluorescent sensor is dramatically brighter near the “wound”, then faded and appeared a little further. After some time this wave came before all other leaves. In the video below, you can see from the damaged portion of the plant is transmitted to illuminated signal. Speed burst is only about a millimeter per second, which is much slower than the nerve cells of animals (120 meters per second). However, this is enough to the rest of the plants had to start the process for the production of protective mechanisms. For example, some plants will begin to produce more chemically harmful substances, becoming inedible for insects, others deter the offenders a sharp smell. What increases the level of calcium in the plant? The study’s authors believe that all the matter in the same glutamic amino acid (glutamate), which were also previously discovered in plants. This is also indirectly evidenced by the findings of another study conducted in 2013. They said that in plants that do not have glutamate receptors does not occur electrical response to the threat. The resulting wound leads to the release of glutamate. He accepted the receptors that increase the levels of calcium, which in turn leads to the activation of the security system, which in turn tries to protect the plant from further damage. And all this happens without neurons. It seems that our green friends is much harder and more dynamic than may appear at first glance. The scientists added that they will continue their further study of signal systems in plants and may find a way to manage it. To discuss the opening of an international team of biologists in our Telegram chat.